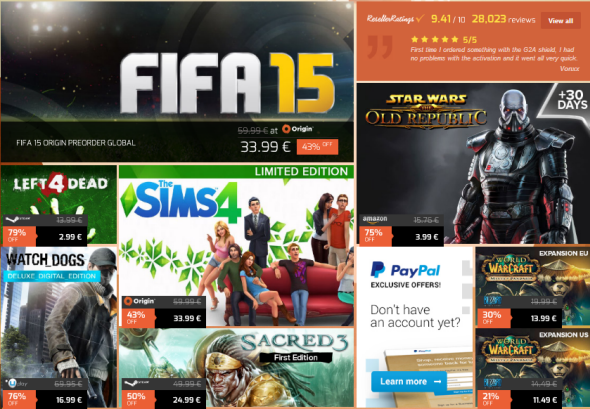 Pre-order The Sims 4, FIFA 15 or purchase many other games with the nice discounts! 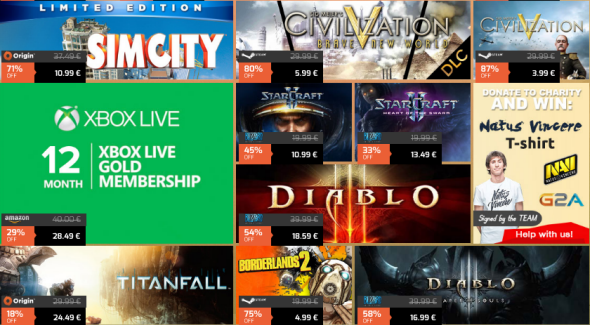 The weekend is coming, and its traditionally means that it’s time for the new sale from our partner - G2A.com. Are you ready to spend your money today? Yes? Then go ahead! Today’s sale gives you an exclusive opportunity to pre-order The Sims 4 Limited Edition or FIFA 15 with a nice reductions. Only during this weekend, you can pre-order any of the abovementioned games just for €33,99. It’s a good bargain, isn’t it? 16) World of Warcraft: Mists of Pandaria CD-KEY Expansion (US) - €11,49. The weekly sale begins today - on the 8th of August - at 15:00 GMT, and it will end, as usually, on Monday - on the 11th of August - at the same time. It’s a good time to save your money, buying cool games, so don’t miss this opportunity!